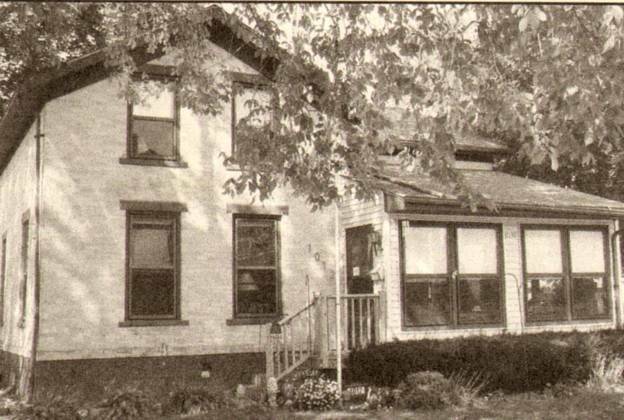 Neal and Natalie Larson's historic Watertown brick vernacular-style home at 1012 S. Seventh St. The Larsons purchased their home in 2004 after being drawn to its Old World charm coupled with modern amenities such as an expansive and updated kitchen. Built in the 1870s by Joshua Burnham, the Larson's are the eighth owners of the house and the third family to purchase it since 1931 when it sold to Kurt and Margarete Staedter for $3,800. The interior of the Larson's home has undergone a number of changes throughout the years including the removal of interior walls to allow for larger living spaces, the installation of a double-sided fireplace between the dining and living rooms as well as the installation of floor to ceiling oak and glass display cabinets in both the living room and dining room. Hardwood floors can be found throughout the first floor of the home. The second story features three bedrooms with son Alexander's room decorated in a car racing motif and daughter Serena's room is home to a Disney princess theme.